So I am back. Thank you so much for your well wishes and for hanging in there. I don't think I have ever been away from this space for so long. I missed "hanging out" with y'all. Let's see. It all started with Freaktober N'oreaster. I am so weary of it, I probably won't go into all of the graphic detail here-sparing you and me. It's still kind of a long story so thanks for hanging in with me. Anyway, I was in my studio on Halloween Weekend feverishly trying to get work done for Open Studio. Usually I sit these storms out at home. When I started hearing branches pop all over the place and the thunder increase in intensity, I decided to call it a day. Good thing I did, because that storm wreaked all kinds of crazy havoc. The heavy wet snow and accompanying winds ripped some siding and wires off of our house. Man we really need to change that paint color. We lost power that night. I thought we were going to sail through, but then I heard the muffled explosion. When I saw downed lines in the street, I called the police department. The dispatcher told me there were downed lines on every street in our town. We were out of power from that Saturday until nine days-count 'em-nine days later. I could not believe it. At some points during the outage, it was 43 degrees in the house. Luckily we were able to save our food. Greg had the great idea of packing snow into the coolers and then putting the coolers under the house. Our deep freezer stayed frozen. We were very lucky. People and businesses lost all kinds of food. Families stayed in hotels for days on end. It is heartbreaking. Some people lost their cars, had parts of their house destroyed and some even lost their lives. We are very fortunate. We managed to score a generator in Massachusetts- it's called THE STORM RESPONDER and it deserves every one of those capital letters. We stayed with my mom a few days, cleaned up our house a lot, bonded more with our neighbors, got way behind in our work, and all kinds of tasks. The children were out of school for seven days. At first Doran had a very hard time with the sudden break in routine. He was a trooper and actually did very well a few days into it. During the worst of the outage, there were live wires were melting asphalt, fallen transfomers leaking oil into the ground, and trees were coming down all over the place. The town cancelled Halloween-twice. There are still dangling wires (dead ones), tree branches, and debris all over the state. We still have an old telephone wire drooping in our driveway. The cable company left it hanging after they repaired the other wire. I hit it about every time I pull into our driveway. I need to call them about that. If you look closely you can see a sign to CL&P. As day 5 without power rolled around, pitiful handmade signs popped up in a lot of neighborhoods. One even said, "CL&P please don't forget us." We didn't see a power crew or even survey crew in our neighborhood until day 7. So now CL&P (our electric supplier) will hopefully have to do some reorganizing. We are so grateful for the linemen and women and for all of the crews that left their homes in other states to help our pitiful butts. I can't say that many of us have the same affection for the high level execs at CL&P. I mean does one dude really need to make millions, especially when the company keeps mishandling storm responses (see Hurricane Irene, ice storm of 2008) while the companies in our sister state of Massachusetts don't. I don't know the exact salary the CL &P president makes because the company used a loophole that would allow it to not disclose its executive salaries. Nicely done. We pay the second highest utility rates in the country, one would think they would have more shame. But no, for days the company did not communicate with our mayor. He then sent the police out to talk to the linemen to see where they had been working and where they were going next. When CL&P found out the crews had been talking to the police, they forbade the crews to talk to them. Amazing. Snow and wind did this. However, despite all of this, we were very, very lucky. We and all of our friends and family are safe. We were lucky to have the family resources that we have and to be able to stretch our financial resources farther (as painful as it was) to purchase a generator. I think my credit card went up in flames when we bought it. We never spend that much money at once. We are lucky we don't live with cold, hunger and so much uncertainty every day like so many people in our town, state, country and world do. That is a gift indeed. It's good to "see" you again friends. 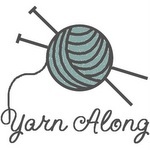 I'll be back tomorrow for Yarn Along. Yay normalcy! Joining Amanda at the habit of being for her weekending series. . . .
Man these weekends are flying by . . . .
We kicked off our weekend a little differently this week. Greg and I went off on a Haunted Hayride at a local farm with some friends. I swear if I owned a farm I would do this. The best spook they had was someone dressed in a Headless Horseman costume riding a beautiful and well-trained horse. That was just my favorite. I wish you could have been there in the hay-filled wagon with us riding through the broad, dark pastures. It was a trip to suddenly see this caped being riding alongside us. Washington Irving had an awesome imagination-such theater and drama! I think I need to go read that story and rent the movie. Oh and as a bonus, we found that we can purchase some compost and manure from the farm-double bonus! Then I did a lot of painting and drawing this weekend. Hopefully the work pans out. On Saturday I spent a really long time combing and braiding a little girl's hair. I swear it gets longer and thicker by the minute. I don't think two year olds can get blowouts though. Unplugged Sunday ended a little earlier than usual so I could take care of some school business. I was also supposed to get my print orders in-oh well that is for tonight. Greg and the kiddos got started on our first ever Haunted Gingerbread House. Let's hope the candy lasts long enough to decorate the house. There was some knitting and tree gazing. All in all a full and fantastic weekend! This is apparently how the Official Royal Maiden reposes. I am not sure why the kids have Eden laid out on the floor like this. The cool autumn breezes blew in this weekend. We had some rain again. I wonder if I will ever be able to plant my garlic. I kind of need to get it in the ground before said ground freezes. But back to the breezes. They felt and smelled beautiful. I do love sparkling autumn skies. I had a mini-freakout about my art show coming up in less than a month. Hmm is the group show piece even started yet? You would think yes, but you'd be mistaken unfortunately. Given the art situation around here, I'll be a bit more scarce around blogland for a bit. Helena and Elijah gave Eden the name of Official Royal Maiden. There was a lot of dancing to Ray Charles. I need to see if I can catch and record Doran singing Ray's "Night and Day" and "I've Got a Woman". I just know I am up for some kind of parenting award for this right? Saturday I took some time in my studio to get some more work done. In addition, I started reviewing which photographs to print and put up for sale. Luckily I already have my note cards, or at least most of them. I think I may order a few more of different prints. There is so much to do, painting, cutting mats, framing, taxes (can't forget those), and I sure I am forgetting something. Time for the trusty lists and smiling meditation. Doran showed us again how much he thinks and what he thinks is funny. He (and all of the kids) are not to say "oh my G-d". It's just something we do in our house. Well, of course he said it. I told him to stop. So he comes back laughing with "oh my dog. Oh my D-O-G." He just broke out in peals of laughter. I tell you that kid . . . . It's kind of like the lying he does sometimes when he is trying not to get into trouble. He's not supposed to be able to do the things "neurotypical" kids do-but sometimes, many times, he does. So even when he is being saucy, I kind of enjoy it. There was plenty of dressing up and block playing. On Sunday, we visited the flea market where Greg and the kids scored all kinds of free stuff (some binoculars for Greg, a citrine for Elijah, a metal cuff for Helena). That place is a bonanza. I am in absolute heaven there. Helena claims she is starting a marble collection. She did buy some pretty cool old ones. Elijah found a vintage Bertie the Bus for 25 cents. He has a good eye. We even went on a fun (and free) hayride. A fun-loving lady played some fun sing-along songs on her squeeze box. Even the teenaged boys got into it. It was simply merry. So off we are to start another week-already-pretty amazing. I hope I'm ready. Today I am joining Ginny for her weekly Yarn Along. The rainy weather has strengthened my knitting resolve as of late. Last night while watching Prohibition, I started a cowl that will be a Christmas gift. I am so excited that I am starting my gift-making in October. Each year I try to get moving a little sooner so I can get all of my planned handmades actually made. The yarn is malabrigo and it was kettle dyed in some manly, fall colors. I haven't forgotten my legwarmers. I am still plugging away on the second leg. It should be completed very soon. In the book department, we've been reading Dorothy and the Wizard in Oz. I really wonder where Baum got his imagination. He is really out there. We are all loving this series. I also started reading The Habit of Being. This book is a collection of letters written by Flannery O'Connor. Amanda over at the habit of being inspired this book choice. I read several of O'Connor's stories in high school and always found her to be quite witty. I was also fascinated that she lived in Milledgeville, Ga. which is not too far from my hometown. We have a busy afternoon ahead. Time to get in some knitting before the day gets away. We are having some full, full days around here, so I'll be scarce around these parts on Thursday, but I'll be back for Photographic Friday. I hope to see you then. Happy Wednesday. I really am trying to appreciate all forms of weather. I mean I can't change it right, and there is beauty and quiet (at least outside) in each rainy day. However, this last blast of rain is really pushing my tolerance level. Today it is raining for the tenth straight day out of the last twelve days. My backyard is squishy and slimy. I didn't know my backyard could get slimy. If I wanted to I could slide down to our compost bin. According to our weather dude, we have had six months, count 'em, six months worth of rain since August 2nd. This on top of an already wet spring. I feel like I am living in Portland, OR, but without the cool vibe. I wonder if we have gotten more rain than Portland. Anyway, the cool thing is that I got some new Bogs to deal with all of this wetness as well as the ice that I know is coming. My old boots finally developed some holes. So I get to sashay around in my new ones in today. Yay, see my attitude is adjusted. Grey days can be very beautiful. I am usually most fascinated by the different colored clouds and sunbreaks. Today though, I am tired. So I'm going to look at some bright sunshiny popsicles.